I can't believe it's taken me this long to share this recipe. 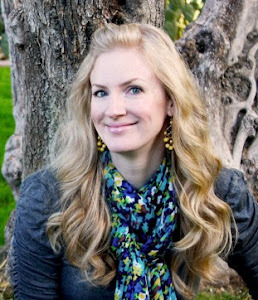 My mother grew up in Hawaii and I spent most of my summers there as a child, visiting my grandparents. I think the only Hawaiian food I love more than poi is Kalua pork. I was raised on this stuff. And anyone who marries into our family knows that several times a year, Kalua pork is the dish of choice for Sunday meals. 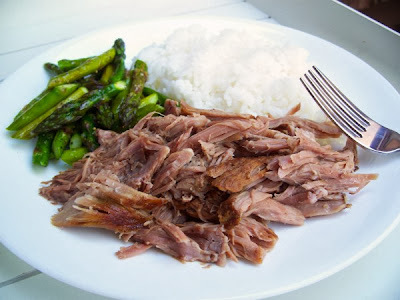 Because Kalua pork, while delicious, is also high in fat and sodium and is therefore something not to be eaten every day. Especially if you are like me and can't control yourself and go and pick at the leftovers in the fridge. This isn't an exact recipe. Basically you use "enough" of this and "enough" of that. But it's simple. 3 ingredients! 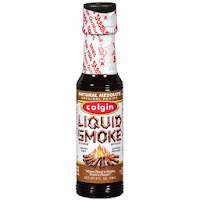 You will most likely find it around the ketchup and barbecue sauces in your grocery store. Usually you have a choice of hickory or mesquite. You can use either, but I've been using mesquite lately. For a smaller roast, you will use about half of the bottle. For a larger roast, my dad isn't shy about using the entire 4 oz. bottle. The last ingredient is coarse sea salt. Coarse sea salt has a lower sodium content by volume than regular table salt, so it's not interchangeable. However, if you are in a pinch, you can sub Kosher salt. Line a large baking dish with heavy duty aluminum foil (enough to cover entire roast). Place roast inside and prick all surfaces of roast with a fork. 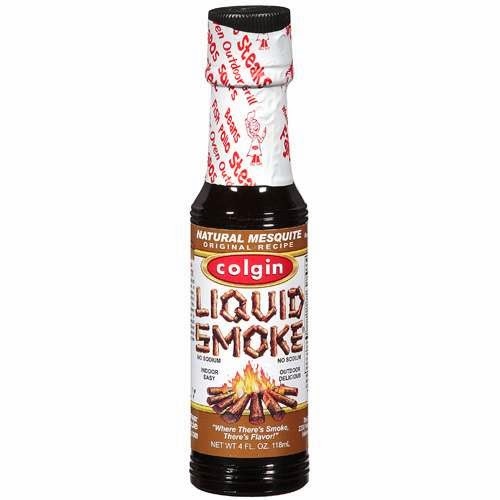 Rub liquid smoke (about 2 oz for a small roast, 4 oz for a large one) all over roast. I usually cut away the meat from the center bone and rub some smoke into the cavity as well. 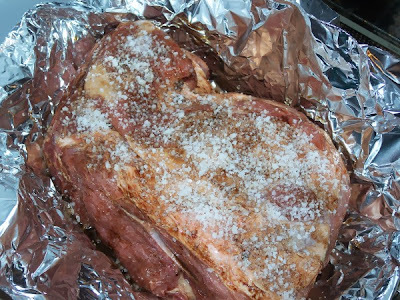 Place roast with fat side up, wrap roast in foil, and refrigerate overnight. Wrap roast tightly in foil again and place in the oven at 500 degrees for 15 minutes. Reduce oven temp to 300 degrees and cook 1 hour for each pound of pork (ex: 7 lb roast = 7 hours). Remove from oven and let stand for 15-20 minutes before opening foil and shredding pork. 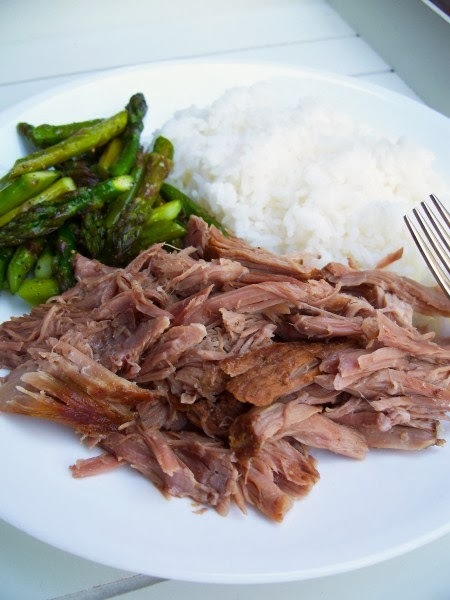 I like to add a little bit of the pan juices to the shredded pork for even more flavor. Ono!